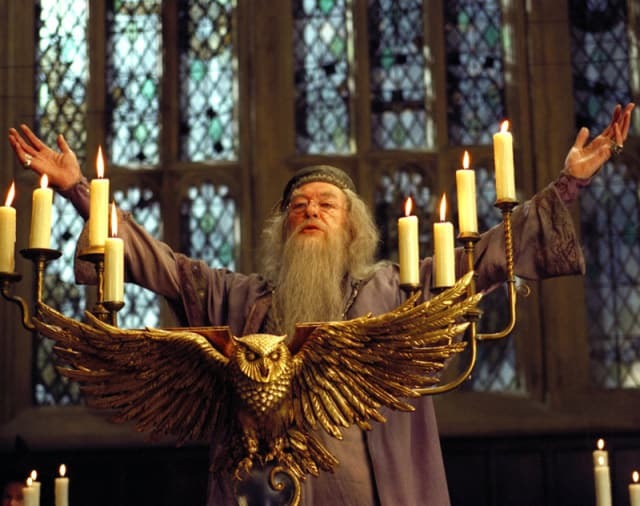 In October 2007, during a fan meeting in New York to promote Harry Potter and the Deathly Hallows, J.K. Rowling revealed that Albus Dumbledore was gay. People cheered and acclaimed in satisfaction and the author said that, if she knew this would make fans so happy, she would have revealed it sooner. Since then, the discussion has not stopped. Fans are split between the homophobic – people who criticize the “late” or “monetized” revelation and the people lost in the middle of the conversation. Many of them, however, do not take into account that this happened in 2007 when representativity and social discussion about the theme were not popular. Rowling probably would not have gotten pink money with the revelation: at the time, LGBTQ+ achievements were still crawling in terms of representativity in the media. If that was to alter the series sales numbers, would be for the less, as the society had not advanced in such discussions. It is possible to consider that Dumbledore was thought of as a genuinely gay man by the author while writing the series. When the character was confirmed in the second movie of the Fantastic Beasts franchise, the discussions about his sexuality increased once more. Considering that the movies talk specifically about Gellert Grindelwald’s history, would Dumbledore’s love interest with the dark wizard be explicit? Even if not corresponded, would the passion be brought up? Or would the production be another one to promote queerbaiting? To clarify, queerbaiting happens when some attraction’s marketing (either a movie, a tv show or a book) suggests a non-straight relationship between two characters, but that is never materialized in the story. It is, therefore, only a way of attracting a non-straight audience, without the story fully representing them. This movie’s marketing was not so responsible when it suggested fake motivations for some of Dumbledore’s actions in the previews. Was there queerbaiting in The Crimes of Grindelwald? 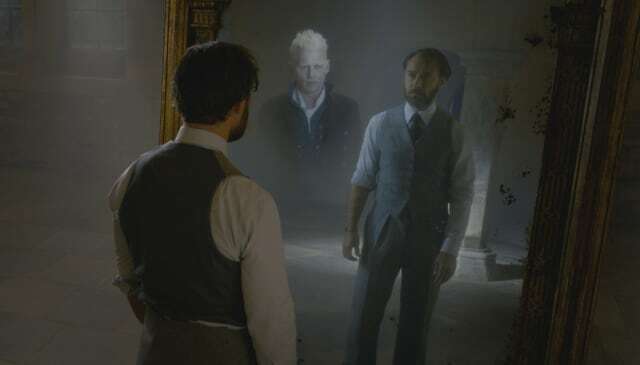 It can be understood that no since it is clear since 2007 that Dumbledore is gay, and the scenes imply a strong relationship between him and Grindelwald. Besides, there are not any other love interests involving these characters, which does not give margin to a forced heterosexualization of them. Actor Jude Law works well in the interpretation of such an enigmatic character. He had said in recent interviews that his characterization would not be a caricature and, like anyone else, Dumbledore is not defined by his sexuality. That barely shows in the movie. Law was successful in delivering such a charismatic, wise and well-intended personality, very alike to the Dumbledore seen in Harry Potter. Besides, the actor embedded in his interpretations non-heteronormative traces. To those who know he is gay, Law’s characterization is brilliant. Although, due to his subtleness, those who are not willing to recognize it, won’t. For that, the movie falls short. While other movies, TV shows and books published to the young adult audience are being responsible by explicitly treating non-straight relationships with naturality in their plots, The Crimes of Grindelwald scrapes, but does not hit the target. The scenes give the hint, and the audience who understands the message realizes that there was a relationship. However, the homophobic audience who turn up their nose to non-straight relationships do not have the same interpretative efficiency or simply insist on ignoring this subplot with the support of a screenplay which does not make the effort to affirm the homosexuality of its characters. In the current context, this is even more worrying. Why didn’t Dumbledore say clearly why he was not capable of going after Grindelwald? The biggest hint the screenplay gives are Jude Law’s meaningful stares while saying “he (Grindelwald) was much more than a brother” and a cute scene in which two boys hold hands? In some scenes, an explanation would fit, saying Dumbledore fell in love with his enemy. However, why that did not happen? Questions echo without answers. The impression is that the movie does not want to go against any of its audience: neither the homophobic ones nor the LGBTQ+. But as we learned with Newt in this movie, sometimes we need to pick a side, and it is better when we are in the right one. Now, all we have to do is to wait to see how the non-straight representativity will develop in the next movies. Written by J.K. Rowling and directed by David Yates, Fantastic Beasts: the Crimes of Grindelwald hits the theaters worldwide on November 16th, 2018.